In addition to our permanent menu, check our boards on Fox Street for our daily and weekly specials. Expect chicken soup in winter, fresh juices in summer and lots of other surprises. Much of our menu is vegetarian, gluten free, vegan/egg free or fat free, see the green symbol/s next to the item. 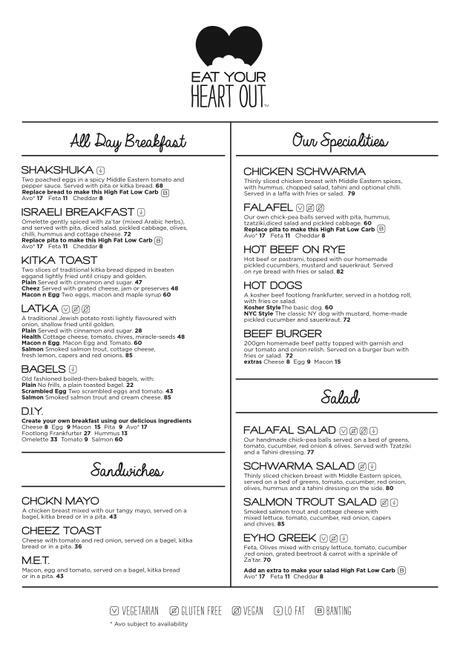 Print out our menu here.